Home » Why We Need Funds » Can You Help Us Raise Funds? What does it take to be an MDS Fundraiser? Maybe you have a particular talent or skill, or you know someone with useful contacts. Be as creative and imaginative as you wish – it will attract good publicity and therefore sponsors. The events you could organise don’t have to be complicated or extravagant. You can do something on your own or with a large group of people. You can engage your local neighbourhood, your school, work colleagues, sports friends, gym partners, cycling buddies, tennis enthusiasts, rowing club, cake bakers! You can have competitions, auctions, raffles, concerts, karaoke, golf games, football matches, cycling trips….all sponsored or selling tickets in support of MDS UK. A-Z list of suggestions from the very sane ones – to totally mad ones. Do contact us to add your suggestions to this list. We’d love to hear from you! We would love to feature the photos of you, your family, friends and colleagues proudly wearing the MDS logo and raising awareness of MDS on our website and Facebook pages. We can supply T-shirts, badges, posters and information leaflets: whatever you need to spread the voice. Just contact us! My involvement with MDS started in April 2008. My Mum Shirley was suffering from terrible nosebleeds and eventually after a 3 week hospital stay she was diagnosed with MDS. I had no idea what MDS was. I did a bit of reading up but to be honest it was medical jargon and I didn’t really understand. My Mum’s condition progressed quickly. She had been told that it was too advanced and they could do nothing more for her, but bravely chose not to tell anybody. She passed away in hospital September 2008 aged just 52. After her death I had a huge need for as much information about MDS as possible. I was desperate to understand what had happened to my mum. The hospital was very good after her passing and fully disclosed the information she had so wanted to protect us all from. 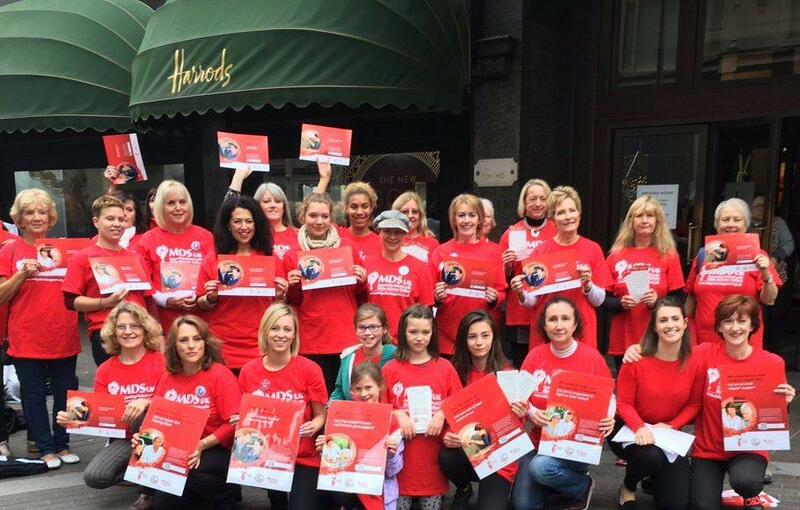 When I began searching online I found very few sites that were directly connected to MDS within the UK but was eventually directed to MDS UK Patient Support Group via the website for The Aplastic Anemia Trust. I decided to fundraise during a flight to Turkey approximately 8 weeks after my mum had died. I lived in Turkey for many years, we had shared some wonderful family holidays there and my fiancé is Turkish. My idea snowballed from a small party into hosting a charity night – I wanted to raise awareness and money. We used the local cricket club’s facilities (kindly offered for free). I decided on a Turkish theme with a belly dancer, disco and a buffet, with a raffle. I knew I had to ensure that the ticket prices were pitched appropriately and then budget carefully for the costs involved. I decided on £6 per ticket with free entry for children with a ticket holder. I was able to organise the disco easily through family contacts (at a reduced rate due to it being a charity event), and a nurse at our local hospital offered to do the belly dancing for free due to the cause. The buffet was less straightforward as catering companies were quoting £5-£6 per head. I decided instead to provide food myself and by asking friends and family to help. Although this was effective, it made the run up to the actual evening very stressful and exhausting. I offered a free tombola entry with every ticket purchased. I had items bought in Turkey for prizes (Turkish Delight, key rings, mugs etc) and also sought donations, with mixed success. I phoned, wrote and emailed both locally and nationally. I had many negative responses. Chain stores tended to point me to their head offices or turn me down. Many places had nominated charities so were unable to help. I had the most success from approaching local facilities and places of interest, attracting free day passes for a family of four, local hairdresser and gym vouchers/day passes, first class train tickets to London and local theatre tickets. I made up a huge hamper with family members buying the items over time. I put together inexpensive games aimed at the kids (guess the name of the bear, how many sweets in the jar or the weight of the cake for 25p a try, closest or matching answers won the prizes), which worked well. On the night the belly dancer and some of her students raised extra money through bids for dances. On the night we raised just over £500. Unfortunately another charity night was held the previous evening for a local teenage girl who had been involved in a car accident. It was organised at late notice but I did not learn about it until it was too late and I’m sure it affected the support for my event. Decide on your event and how it will raise money. If selling tickets, be realistic in your pricing and ensure that you put together a budget and stick to it. Don’t incur costs where it isn’t necessary – I was fortunate to be able to use the venue free of charge and kept decorations low key; I also got the disco at a reduced cost through family contacts and the belly dancing services were donated. Get as much help as you can – whether it is through help on the night, making stuff for the event, getting donations etc. Make a list of all that needs to be done and divide tasks out, taking into account the strengths of others. Family members helped out with making food for the night and contributions for the hamper and a good friend designed and printed both the posters and tickets. Seek donations for the cause – I sought donations from businesses for the raffle prizes. I started off by drawing up a letter explaining what I was doing, gave a brief outline of MDS and how it had affected me personally. It’s important not to get disheartened by the rejections you will receive, as you will also see remarkable generosity. Local businesses may be more prepared to help you out. Keep track of your efforts and who has donated so you can thank them. Don’t underestimate the work involved – give yourself plenty of time for planning, and for selling tickets in advance. Be aware of other events or fundraisers occurring locally and avoid date clashes. Advertise and monitor the effectiveness of your efforts – one local newspaper I contacted got the location wrong and then had to print a correction in another edition. I also found that posters I put up in the local area (shops, supermarkets, community centres etc) disappeared quickly. Lastly but most importantly enjoy the event and remember why you are holding it in the first place! 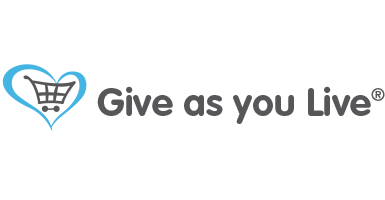 Give as you Live is a free and very easy way to raise money for us – without having to donate anything yourself – simply by shopping online via this website. If you use the internet to buy goods, hotels, travel or services online, please consider using this scheme, which allows you to pick your favourite cause and raise funds at no cost to you! Sign up, and browse the Give as you Live website for the store you want to shop with. Click 'shop now' to go to their website, then continue to shop as normal. Give as you Live will then email you within 1-7 days to let you know how much you've raised for us. MDS UK is registered on Give as you Live. All you need to do is to register and then shop online as you would normally do. Please forward to friends and family. Thank you for your on-going support. Our MDS Virgin Money Giving Page allows you to donate the sum of your choice safely, and adds Gift Aid automatically. You will receive an automated thank you message from Virgin Money Giving. Please also send us an email to admin1@mdspatientsupport.org.uk so we can send you an official thank you letter! Please help us support more patients!